It is a common misconception that securities fraud is strictly handled in criminal courts. There are also civil remedies for investors who have been defrauded out of their money, or whose brokers or advisors have acted negligently. Seeking those remedies is exactly what The Frankowski Firm does. We want to speak to investors directly here – both the inexperienced and the well-versed – about the most common types of investment fraud, so that you have a better idea about when to seek help from an attorney. 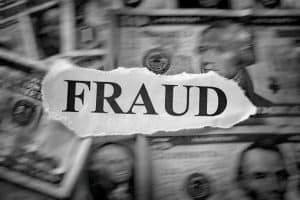 Sometimes referred to as “stock fraud” or “securities fraud,” investment fraud is a deceptive practice whereby your advisor or broker misrepresents critical information about certain securities or products in order to induce investors to make a purchase (in the most general terms). When you hear stories about insider trading, Ponzi schemes or boiler rooms, you are really hearing about acts of securities fraud. By and large, investment fraud leads to the advisor or broker (or the firm or the bank at large) to make money, while offering the investor little to no real chance at seeing a profit. In Ponzi schemes, for example, there was never any real product to be bought or sold; the whole basis of the scheme is a lie. Broker negligence is less insidious, but often just as damaging. You do not need to prove an intent to harm in a negligence claim, as you would in an investment fraud claim. 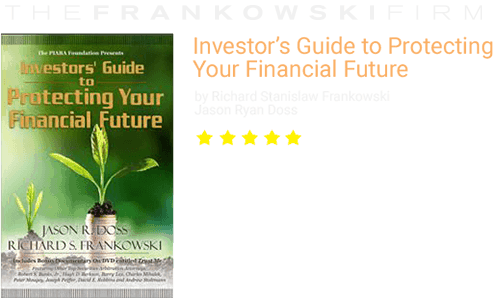 Instead, you would show that through negligent actions – such as failing to diversify your portfolio, or recommending products that are unsuitable to your goals and needs as an investor, or even failing to explain all the fees associated with certain types of securities purchases – your broker, advisor or brokerage firm breached their duty to protect your interests first and foremost. As an investor, you have the right to know who is doing what with your money and why. You have the right to be told what kinds of products or securities you are purchasing and in what industries you are investing. You have the right to know about the risks of making certain kinds of investments and about the fees and costs associated with them and to have your goals and wishes respected. When a broker behaves negligently, or engages in an act of fraud, you have options to pursue damages through the civil justice system. 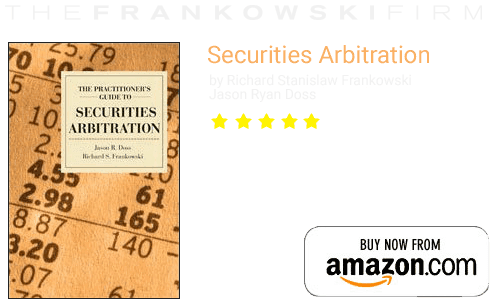 You can take the individual or firm to court, or, if it is required by your contract or better suits your needs, you can be represented by legal counsel in front of a FINRA arbitration panel. At The Frankowski Firm, we review our clients’ cases and situations, to create personalized paths for them. When you have sustained losses because of an act of broker negligence or investment fraud, we are your advocates. To speak with an experienced FINRA arbitration attorney, please call 888-741-7503 or complete our contact form.